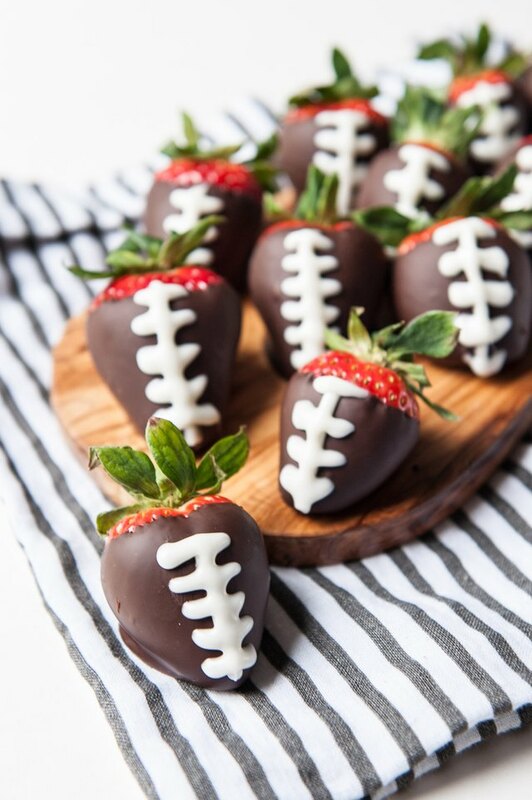 These aren't just the most adorable football food you could possibly make, they are also a way to sneak some produce into your game day celebration. Also, they're gluten-free and vegetarian. You're so accommodating! And the kids love them. 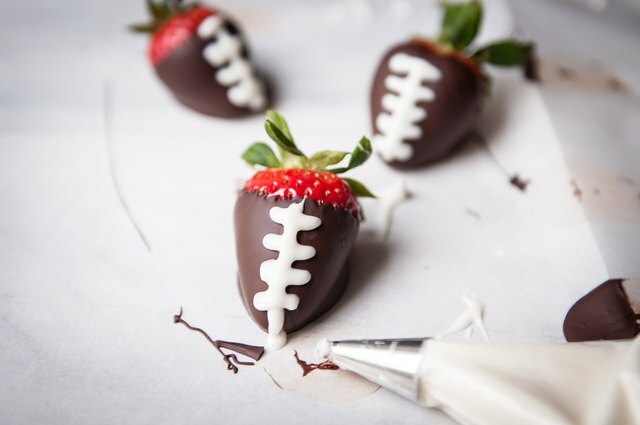 But really, we know why we make these: they're so cute and only need three ingredients. Even if the laces don't turn out perfectly, who cares! 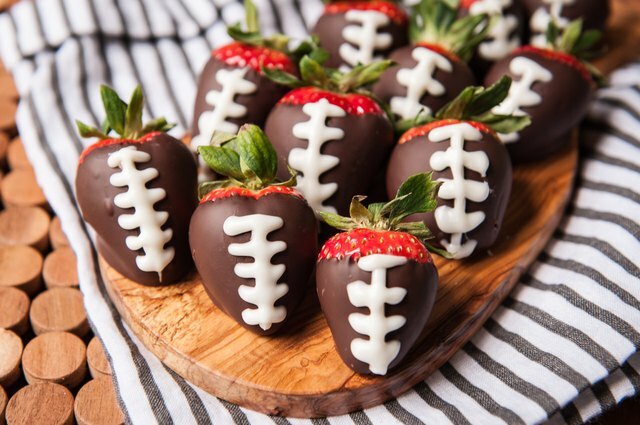 You still made a tray of chocolate covered strawberries like a boss. 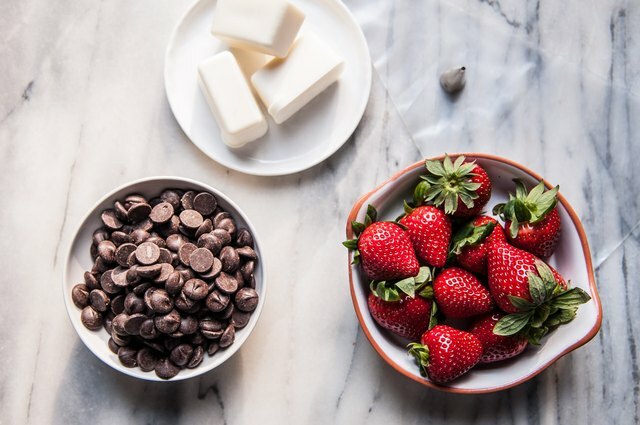 This can be done in the top of a double boiler over gently simmering water or in the microwave. 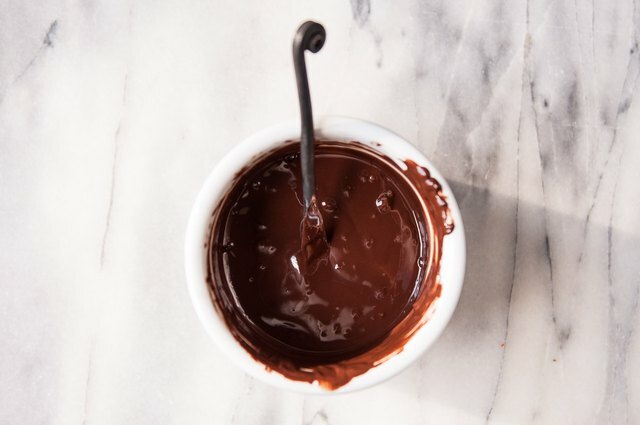 To melt chocolate in the microwave, add chips to a microwave safe bowl, microwave for 30 seconds, stir and repeat until melted. Add to a small, deep bowl. A coffee cup works well. 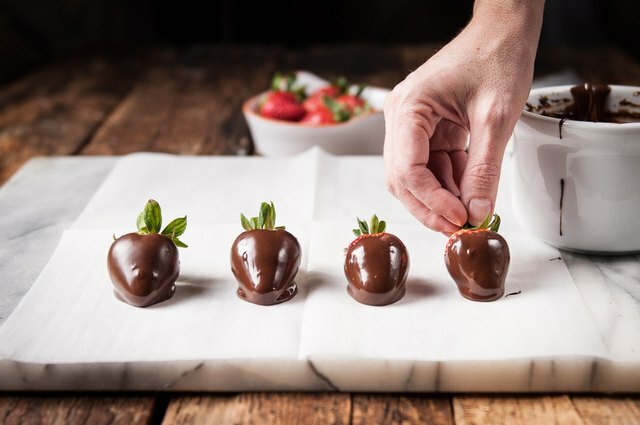 Make sure the strawberries are clean and completely dry. 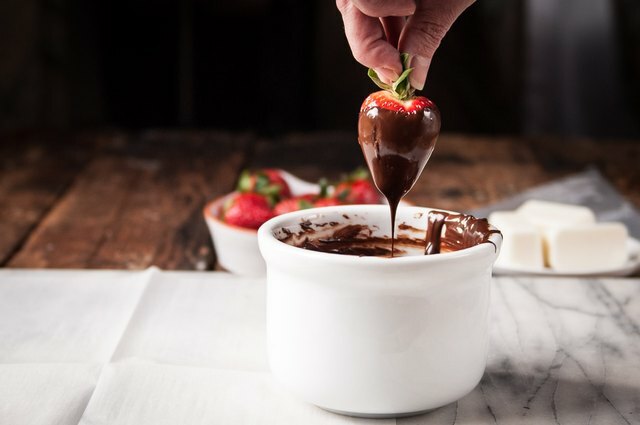 Grab by the leaves and gently dip into the melted chocolate, allowing excess to drip off, back into the chocolate bowl. 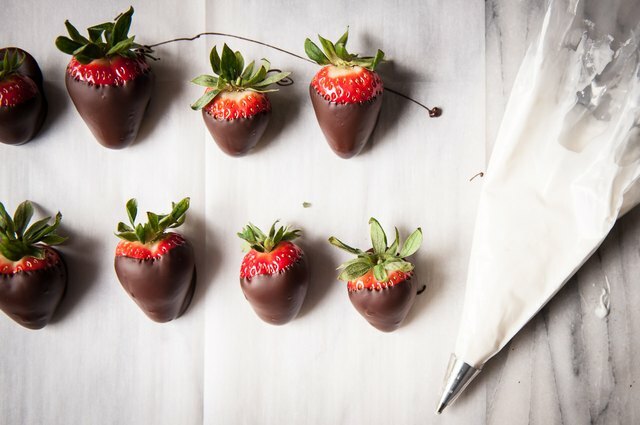 Place the dipped strawberries on a sheet of wax or parchment paper, allow to sit until the chocolate has cooled and hardened. About 10 minutes. Melt the white candy according to package directions, and then add to a piping bag. Take care not to over-cook the white candy -- it can easily seize or burn. 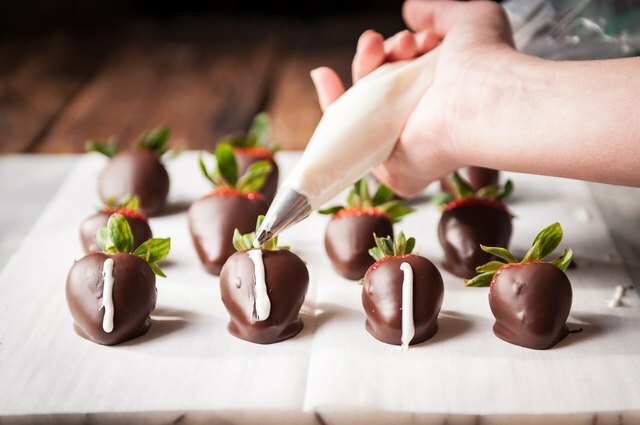 Don't have a piping bag? No problem! 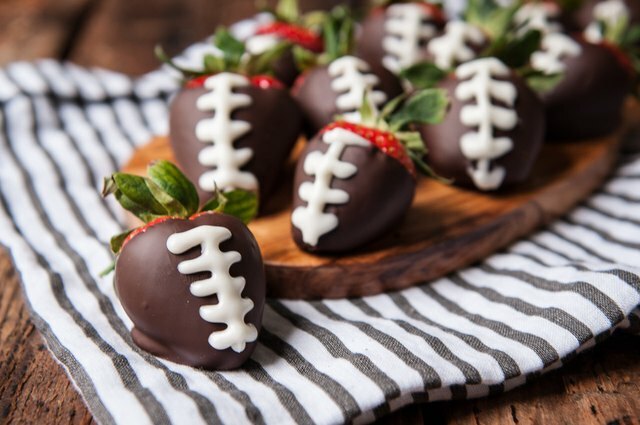 Just add the melted candy to a large Ziplock bag, cut a very small section of the bottom corner off and you have yourself a make-shift piping bag! Allow the white candy to cool slightly to allow it pipe on without sliding off. Gently pipe a line down the length of the strawberry from leaves to tip. Draw small horizontal lines across the long line to resemble football laces. Allow to cool. Chill until ready to serve, do not make more than 24 hours prior to serving.